Media can be checked-out from all campus locations. The Ft. Pierce campus only allows faculty and staff to check-out videos. The media collection at Ft. Pierce is intended to support the classroom experience rather than provide entertainment value. Students can view media in the library only. Search for a title by limiting the Format to Audio/Visual in the IRSC catalog. Don't see what you want? Ask a librarian for a recommendation or submit a request to purchase a specific title. Click "Libraries" in the bottom left corner of the page. Click "Find eResources (Articles)" on the left side of the page. Click "Databases by Subject (recommended)" in the center of the page. Log in. Your Borrower I.D. is your five-digit Employee I.D. number and your password is the month and day of your birth expressed MMDD. 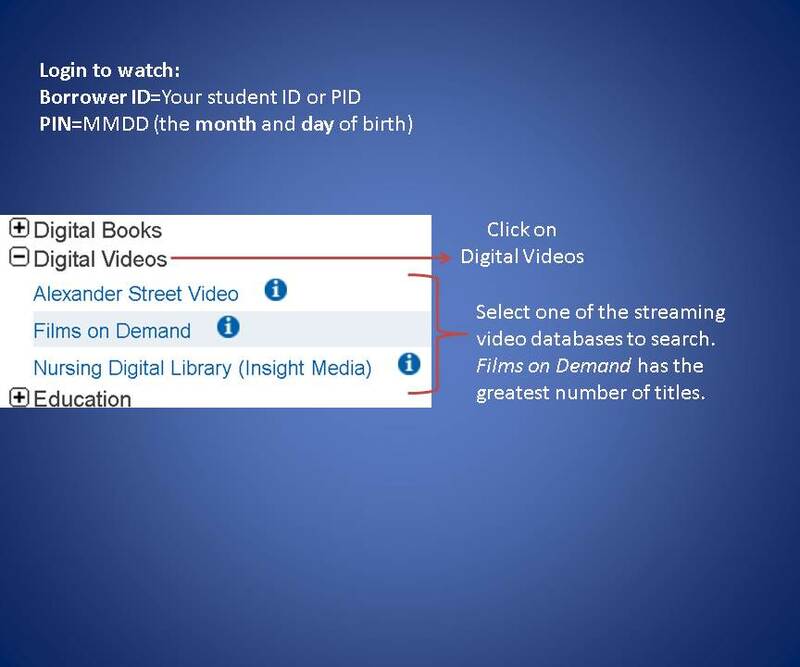 Using this method, students are no longer required to log in with their library credentials to view videos. On the video's page in Films on Demand, click "Share," then "Embed Code." Copy the URL in the box under "LTI Link." 3. 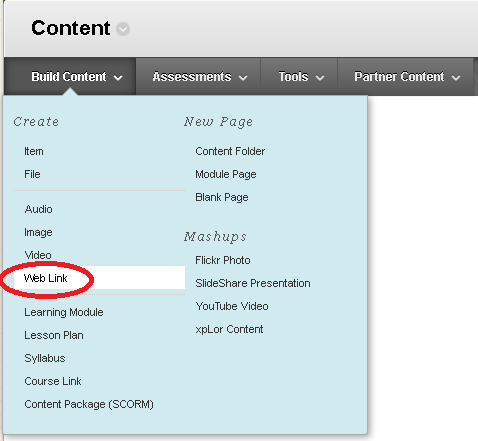 Create a new Web Link in Blackboard. 4. Give the video a name, paste the URL, and put a check in the box next to "This link is to a Tool Provider."